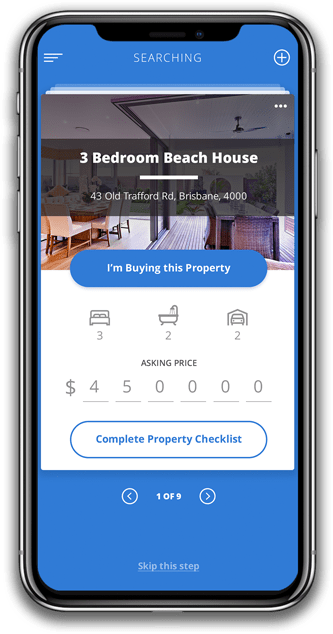 The new, free app guiding you through every stage of the home buying process - from signing the contract to moving in. Start your home ownership journey! You are just a few clicks away from getting your Brixn property companion. Never before has everything been available to you in 1 spot. Empower your home ownership journey today. It excites us to welcome you into our community as we introduce you to people going through a similar journey and extend our trusted brokers and conveyancers to ensure we deliver an exceptional experience. Share your home ownership journey today. As you stand at the foot of your mountain we often are unsure which path to trek first, Brixn illuminates this pathway as you begin to climb – we will even carry your bags! Explore your journey today. Let Brixn keep score and you just enjoy the game. With Brixn live updates you will know exactly what stage your up to. Unlock the secret to a simpler journey today. Our passion is to see you realise your Australian dream; by delivering an exceptional experience that is simpler and more enjoyable than ever before. We understand that home ownership can be expensive, so Brixn is proud to offer our full service at no cost to you. All our partners agree to share in your costs by imbursing brixn for the privilege of supporting your home ownership reality. Experience your journey today. What if I want to use the Brixn app again? Looking at a second property? Congratulations on taking the leap again! To utilise all the features of the Brixn app from scratch, simply head to settings and select ‘delete all data’. This will keep your personal details but delete your purchase plan so you can start from the beginning of your journey. How do I know the service providers are giving me the best deal? Brixn has researched the most highly regarded service providers in your area to ensure you are well looked after. You can ensure our Brokers and Conveyancers are doing everything in their power to provide you exceptional service and providing the best offer suited to your needs. Is there a catch when using Brixn for free? No catch! 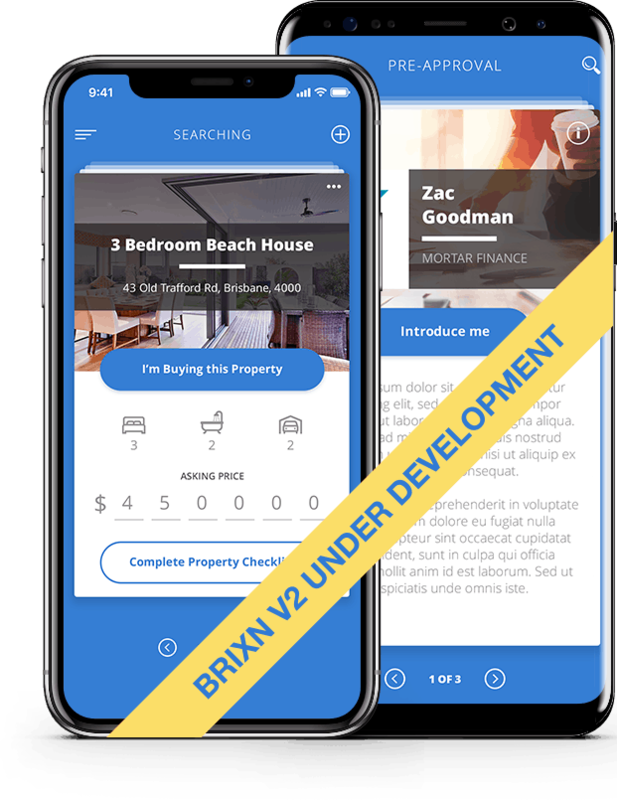 Brixn is bringing a simple home ownership journey to you at no cost to ensure your experience when buying a home is enjoyable. You do not pay for any service using Brixn. What if I have my own broker/conveyancer? 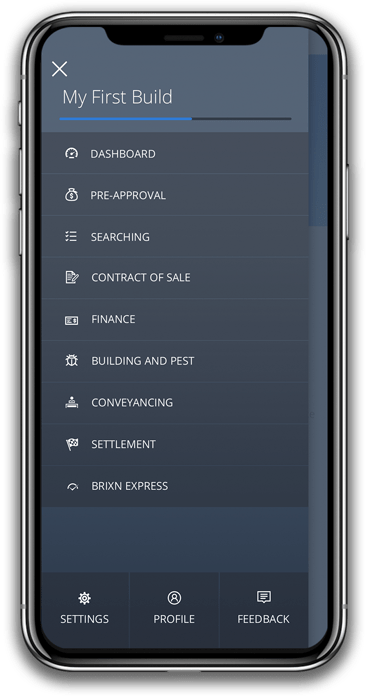 Having your own service provider is fine, simply select ‘I already have a broker/conveyancer’ at the bottom of the screen. Using your own service provider will not stop you from having access to all the hints and tips in the app, however if your service provider is not associated with Brixn they will be unable to communicate with you, and the other service providers as a part of the app. This also means your timeline will not be updated and the countdown ability inactive, so you will need to regularly contact your provider to be kept up to date. Tip: Ensure you ask them if they know about Brixn, if they are in the brixn community they can provide you with a unique link allowing them the ability to update the app and keep you in the loop! How does Brixn Express work? Brixn express is there to do the legwork for you for moving day. Rather than making numerous phone calls to set up the utilities in the new place, sit back, relax and wait for the call to come to you. Within 4 business hours you will receive a call from a qualified Brixn representative to set up everything you have chosen in the app. Your choices are insurance, electricity, home phone, broadband and foxtel. Does Brixn Express only use 1 service provider? When you answer the call, our Brixn representative will ask a few questions to determine what you need and which provider is most suited to your needs. Our representatives are based in Sydney and have the knowledge of a number of products with numerous service providers. If you have a specific provider you would like to set up with please advise the representative when you speak with them. Brixn welcomes all feedback, good or constructive via phone, text or email. We love to hear your stories and may have them appear on our website with your permission. Why should I use Brixn? Think of Brixn as your mate at a BBQ, we will suggest trusted and proven service providers and give you tips and hints on your journey. But more than that, we provide a timeline of events so you never miss an important date and keep your broker, conveyancer and real estate up to date and talking to each other the whole time. 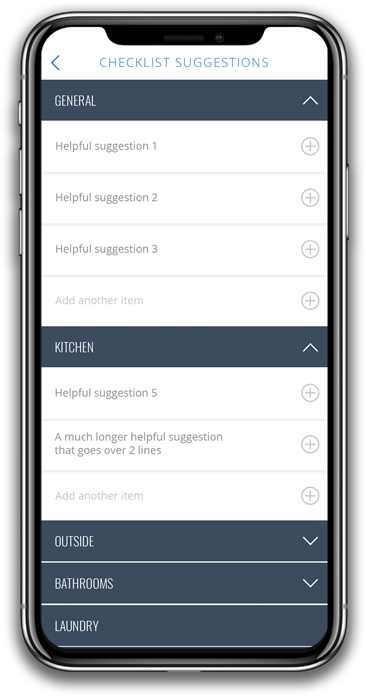 If you want your journey to be simple and efficient, then download the Brixn app. How does Brixn offer the app for free? 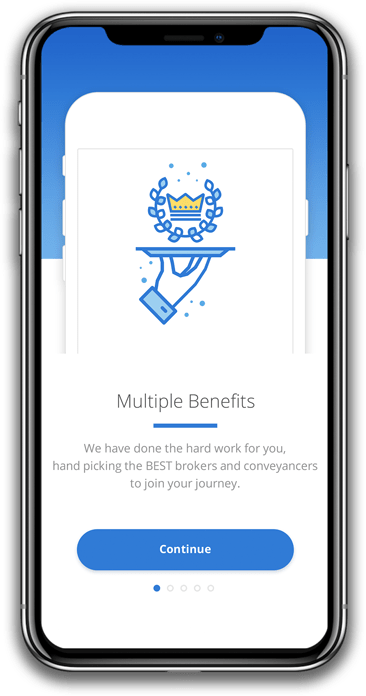 Brixn and their service providers pay for the App so that you can experience your journey stress free and have all the information at your fingertips. What experience does Brixn have/where does the information come from? 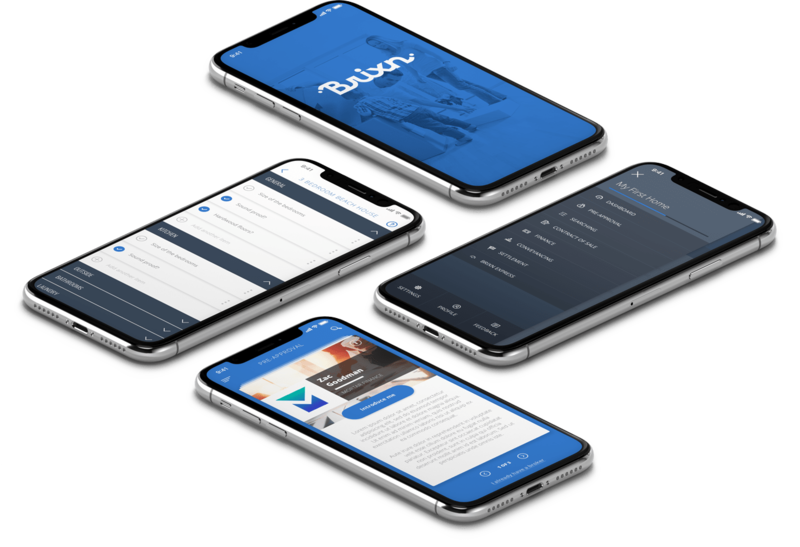 The Brixn founders Zac and Alisha Goodman have used personal experience, plenty of research and the help of our trusted service providers to bring you all of the information on the app. Zac and Alisha have bought, sold and built houses/units, and managed a portfolio of investment properties. Through these experiences they have created Brixn to encourage you to take the leap into home ownership and enjoy the journey stress free. I'm a service provider how do I sign up?